This is a fairly old book published in 1998 and it's one of the first parenting books that I've read when I had my children. It resonated with me because the values were in aligned with Islam, even though the author is a Christian and made some references to Christianity in the book. Really, Christianity and Islam have similar values but it's our beliefs that our different. For the most part, I just ignore the references. I will go through the 7 habits and what I got from them, from an Islamic perspective, of course. I believe Stephen Covey invented the pause button - to stop ourselves from reacting to the emotions of the moment and instead to think and choose our actions according to our principles. In the moment of something happening to us, we need to press our pause button before we react. When our children make us angry, are we strong enough to control ourselves from reacting by pressing our pause button? This is the basis of being proactive. The author then goes into ways we can choose to act: we can be helpful, apologising, forgiving and understanding, among others. I think a lot of us forget this or we don't even think of it. And so we marry and have children and aimlessly live our life for its enjoyment. The thing with goals is that it needs to be shared with everyone. Everyone in the family needs to have the same vision and understanding otherwise instead of a single goal to guide everyone, the different goals that each person has will pull the family in different directions. To overcome this, the goals of the family is a process that everyone needs to have a discussion about and agree on. This habit is about putting the relationship in the family first. There are two main ways to do this on a weekly basis. The first is to have family time as a group for planning, for teaching skills, to problem solve (family meeting) and for having fun together (get my free 'Family Fun Activities Guide' ). The second way is to have one on one bonding time with each member. Yes, this includes, mother and father bonding times as well as each parent with each child. This is why family time for planning is important to schedule all these times in. We need to change our mindset from a me to a we. It requires service and sacrifice so that everyone's best interest is involved. This means that there cannot be a lose-win situation because if one person loses then the other members are affected by it. This is how it is within families as well. The outcome of any encounter or decision must be a win-win for everyone. This is about how we listen and communicate with our family members. The first part is about our perception of others and their perspectives. To do this well we need to have empathy - to feel and understand what the other is feeling, which then leads to listening with empathy. Synergy is a product of valuing each person's uniqueness so that when taken together as a family unit the result is a creative force. It uses each person's strengths and covers each person's weaknesses. Abu Huraira reported that the Prophet, peace and blessings be upon him, said, “A servant does not cover the faults of another servant in the world but that Allah will cover his faults on the Day of Resurrection.” (Muslim) To cover another's fault or weakness is to not point it out and ridicule, put the person down or belittle them because of it. We can help them or remind them to improve on it. We can also use our strengths to lift everyone up. To strengthen the family bonds we must also create family traditions such as having family dinners together, going on family vacations together, celebrating holidays together such a Eid and iftar, learning together, worshipping together, working together and serving others together. How many of these do you do together as a family? 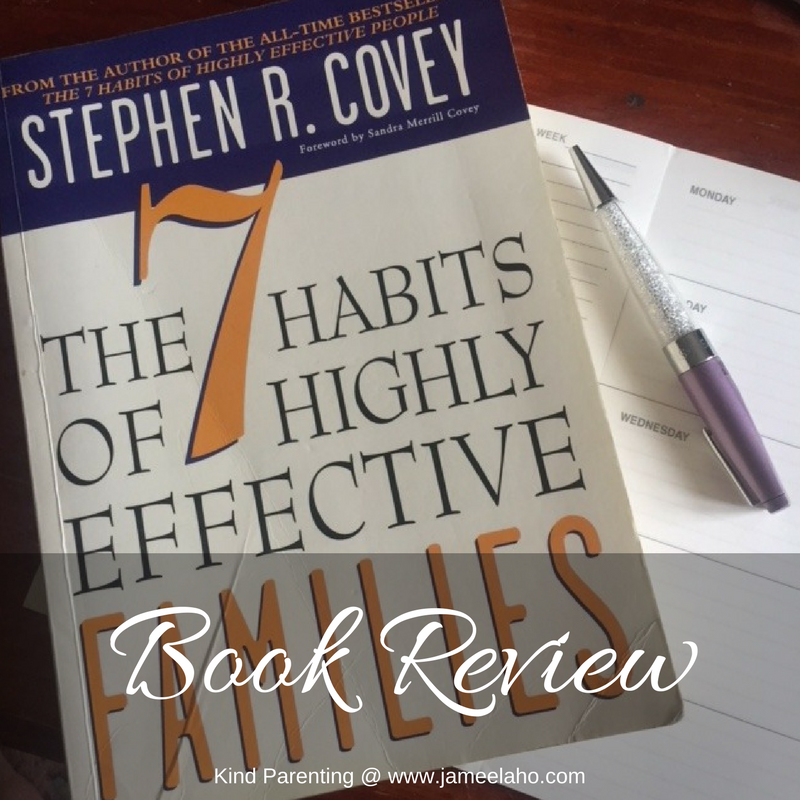 The 7 Habits of Highly Effective Families is a thick book. What I like about it are the stories that the author used to illustrate each scenario and how to use the habits. 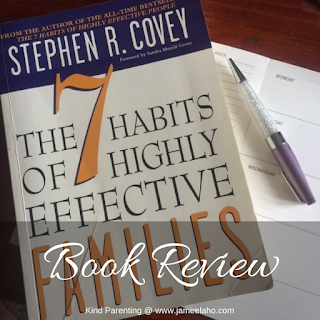 These 7 habits are highly desirable to have but they'll take time to implement. Start first by picking one habit that you can do right now for your family. Work on that until you've got pretty good at it then start on the next.